A new Cassia County Sheriff's Office patrol vehicle with a pink breast cancer awareness ribbon on the hood. 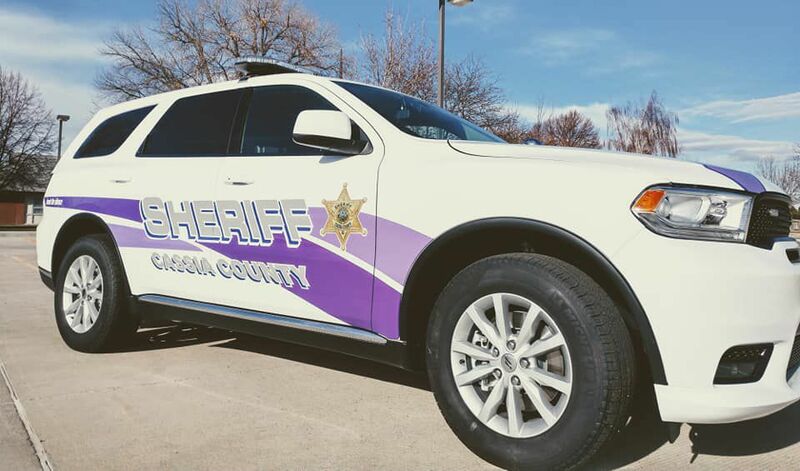 A new Cassia County Sheriff's Office vehicle was striped in purple to bring awareness to domestic violence. A Cassia County Sheriff's Office Dodge Durango was striped with the color pink to bring attention to the issue of breast cancer. A domestic violence awareness message on the hood of a new Cassia County Sheriff's Office vehicle. BURLEY — The Cassia County Sheriff’s Office is sporting some new colors — pink and purple — on two new patrol vehicles. Two new white 2019 Dodge Durango patrol vehicles assigned to the city division were striped with different colored ribbons to bring attention to breast cancer and domestic violence. Warrell said several other members of the sheriff’s office have also been affected by breast cancer. 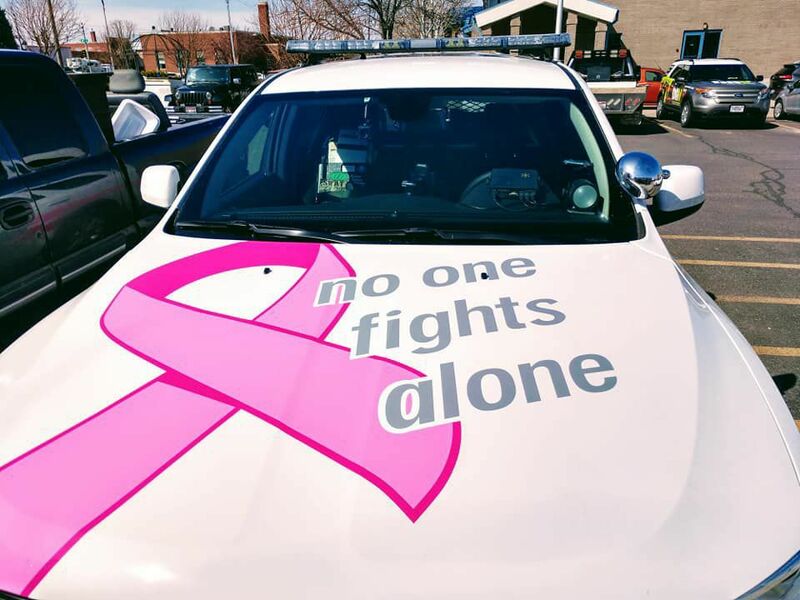 One of the vehicles has a pink breast cancer ribbon on the hood with the message “no one fights alone” and pink striping on the sides and the second vehicle has a purple ribbon on the hood and says “break the silence” with purple side striping. Warrell said there were no additional costs for changing the color of the striping from the traditional gold. The sheriff’s office just received the vehicles, which cost $28,000 each. Warrell said the department will consider striping other new vehicles in the future to bring attention to other issues.